Planning a wedding is often a daunting task, and hopefully after your big day you’re headed somewhere to relax without a place card or relative in site. Whether you’d rather get them done before you take off or wait until you’re back in the swing of things, writing thank you notes to everyone who was thoughtful enough to give you a gift is a must. Luckily, our sister brand, Crane & Co., is the authority on all things stationery etiquette. Here, they share their etiquette tips on how to craft the perfect post-wedding thank you note. Say it with style. Thank you notes should reflect the couple’s aesthetic. The recipient of the note should know who it’s from even before he/she reads a word. 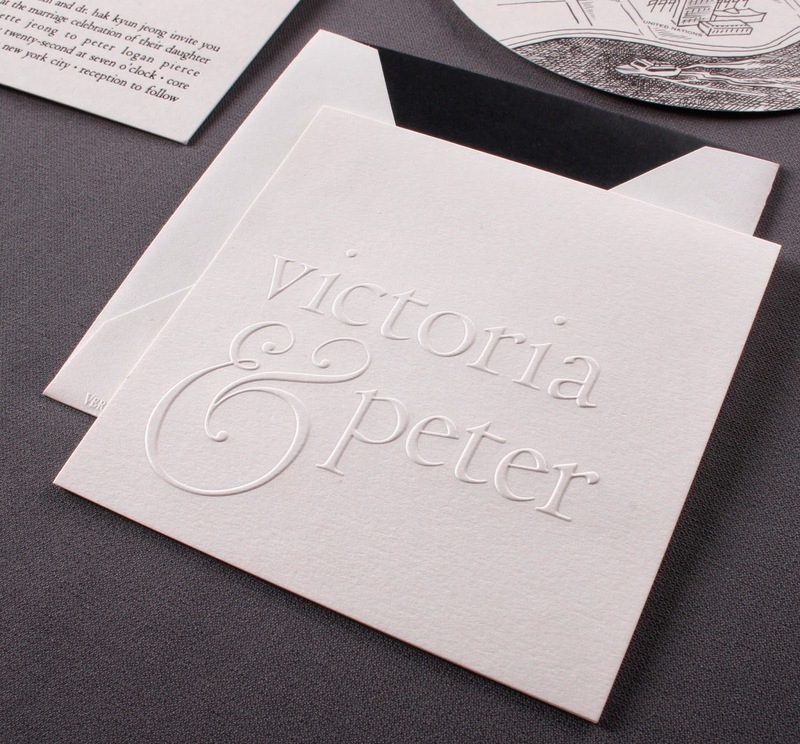 Some couples design and order personalized couples’ stationery when they order their wedding invitations, while others may choose to send boxed notes. Either is correct. Be gracious in a timely manner. Thank you notes should be sent out as soon as possible after you receive the gift. One to two weeks is the sweet spot, as your note should be a thoughtful gesture, not a reminder to the recipient of what was given. Give credit where credit is due. Make sure to address your thank you note to the person or persons who gave you the gift. If the gift was signed from your friend and her husband, your note should address both individuals (even if you know she “did all the work”). Everyone likes to feel appreciated, after all. Name drop. Mention the gift you received by name. It may seem like a small detail, but in an era of generic, automated emails, it’s nice to receive something that is personalized just for you. Go the extra descriptive mile. Everyone hopes that the gift they give isn’t going to collect dust, destined for the Goodwill bag when spring cleaning comes around. Prevent such worry with a sentence or two about how/when/where you might use the gift and how excited you are to do so. We agree that we can’t think of a more wonderful package to open than box of gorgeous champagne glasses, which will surely make our first dinner party as Mr. and Mrs. that much more special. Hope all is well, and much love to you both. Let's stay in touch! Follow us on Facebook and Pinterest.